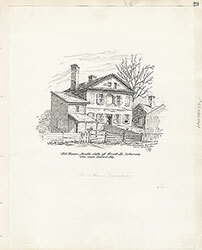 James Fenimore Cooper House, Burlington N.J. 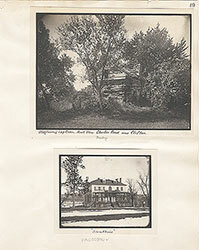 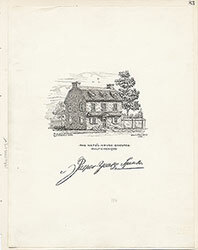 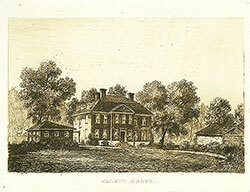 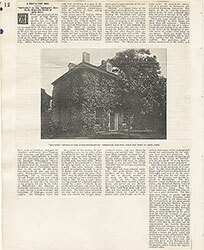 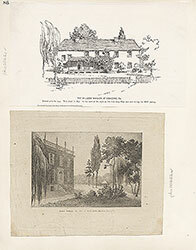 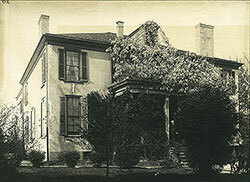 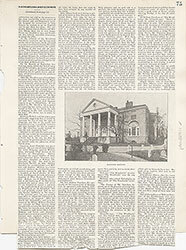 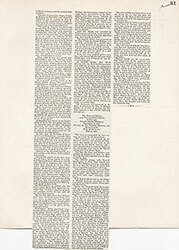 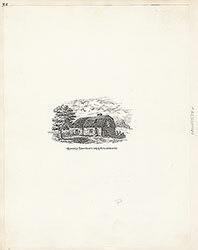 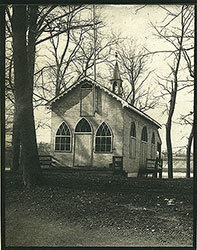 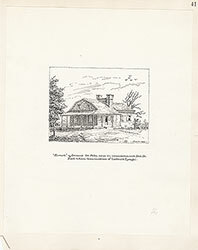 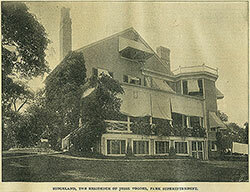 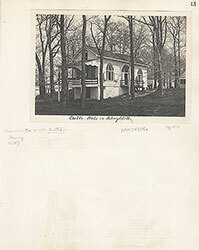 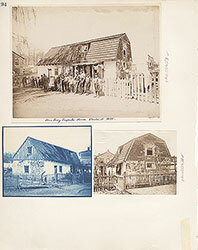 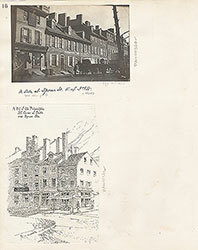 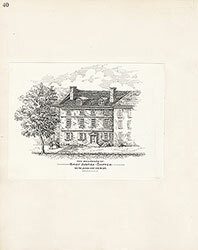 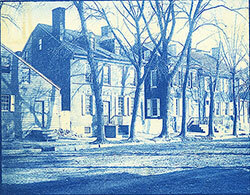 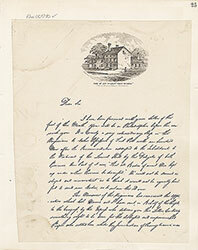 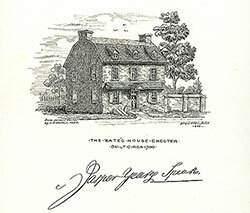 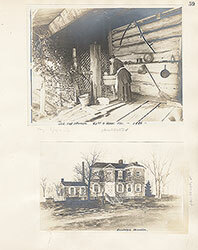 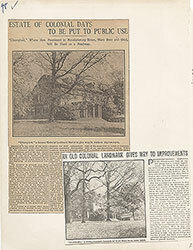 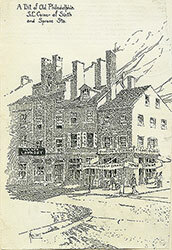 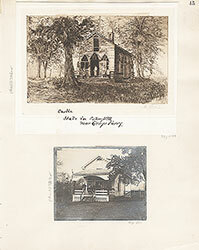 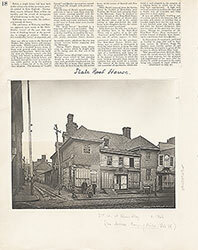 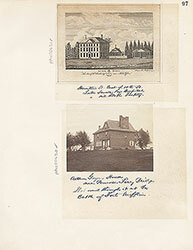 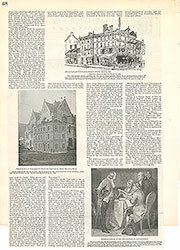 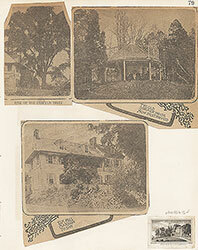 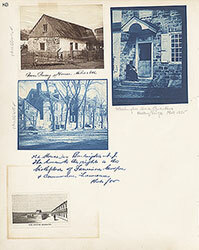 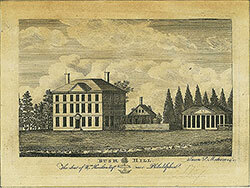 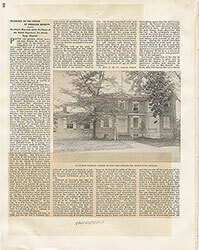 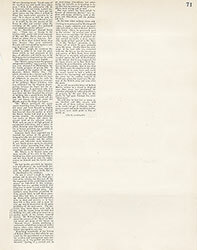 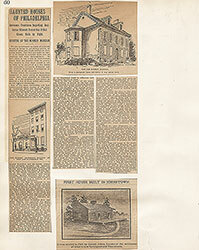 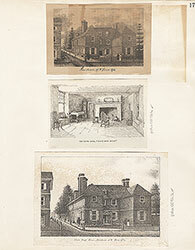  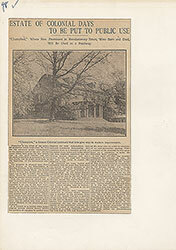 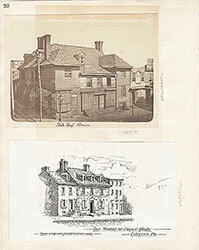 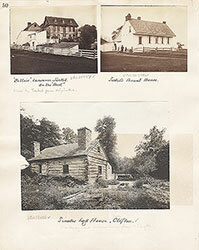 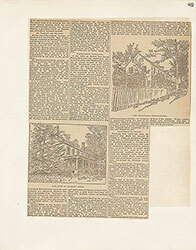 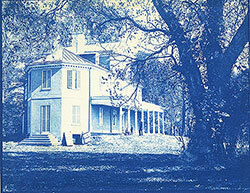 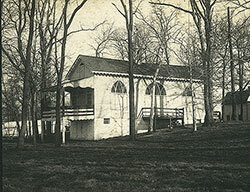 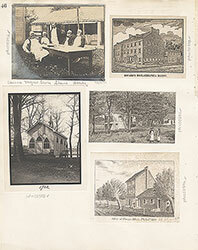 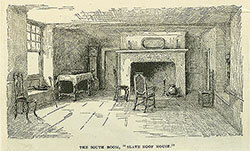 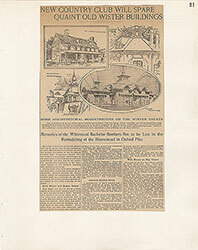 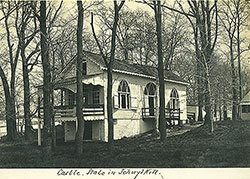 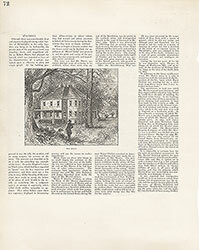 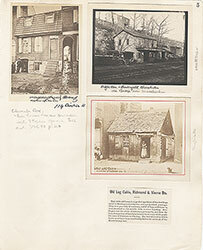 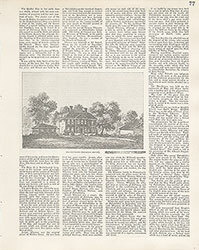 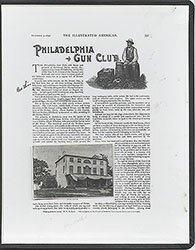 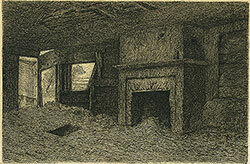 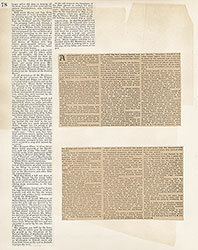 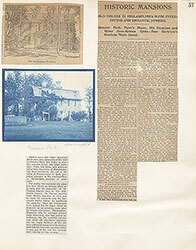 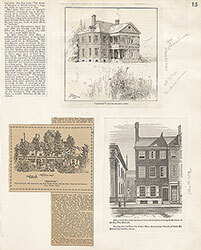 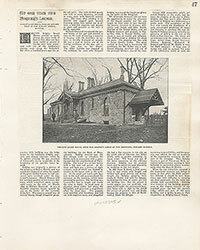 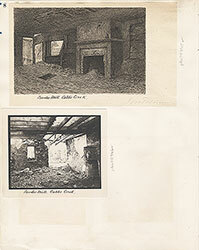 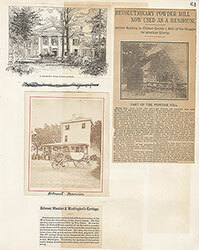 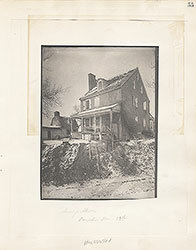 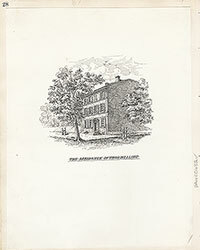 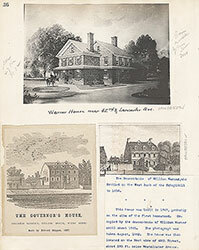 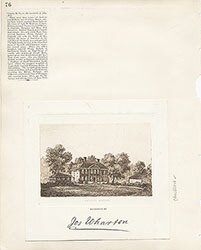 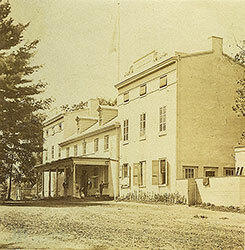 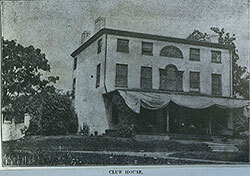 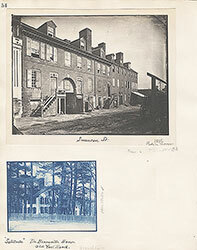 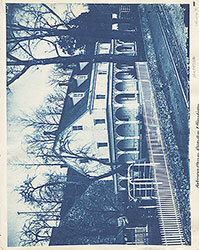 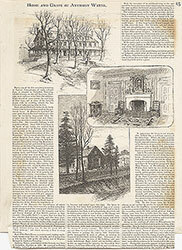 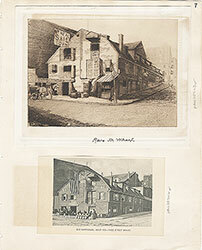 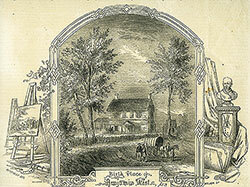 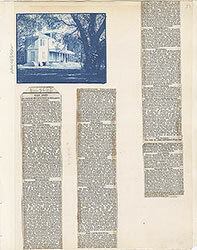 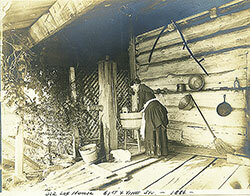 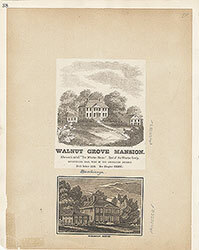 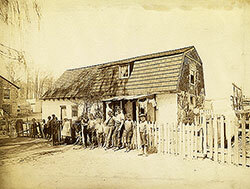 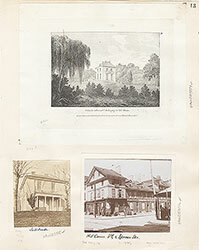 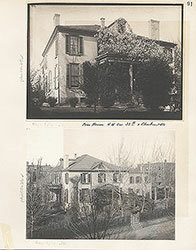 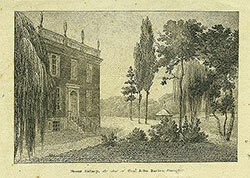 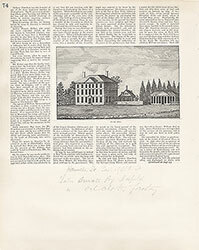 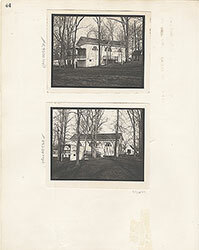 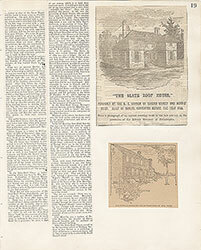 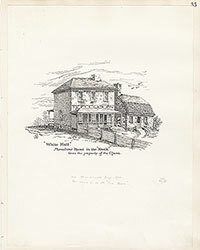 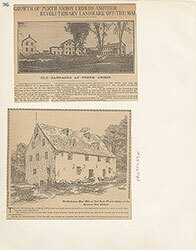 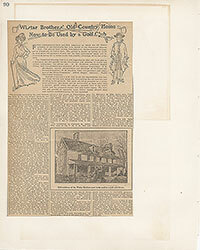 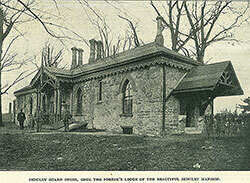 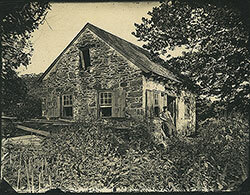 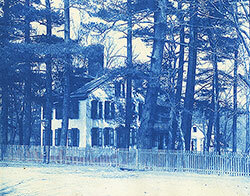 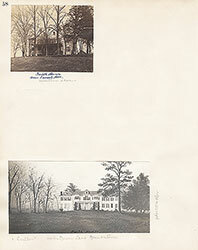 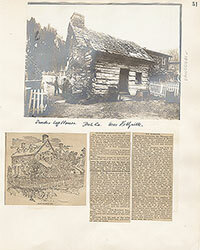 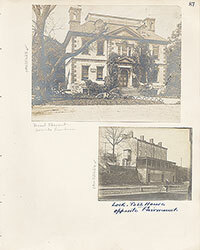 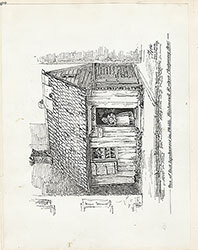 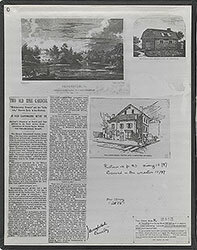 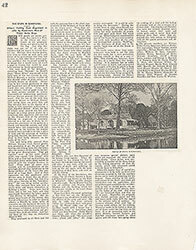 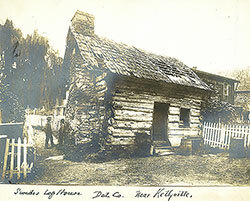 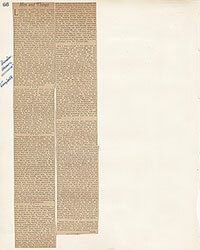 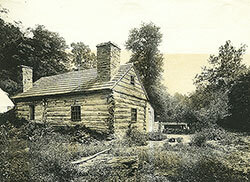 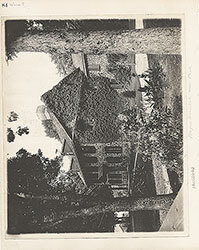 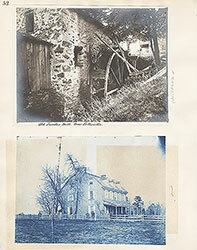 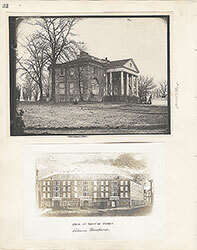 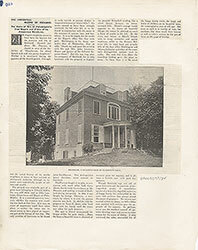 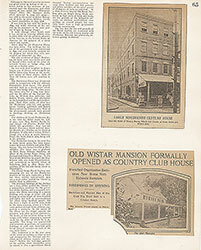 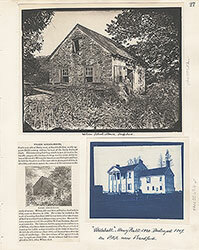 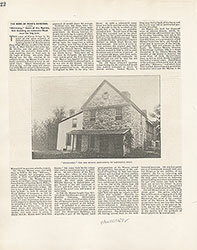 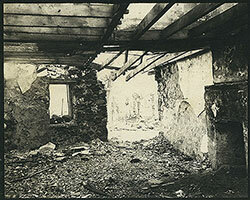 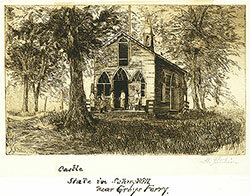 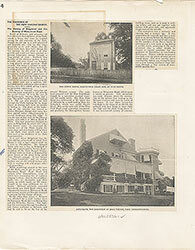 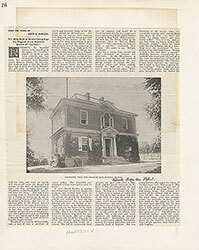 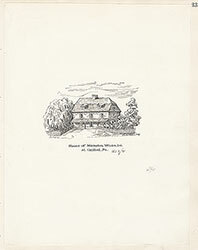 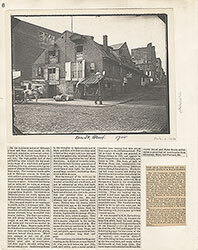 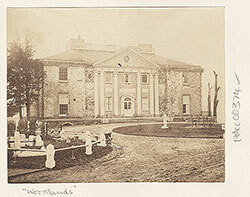 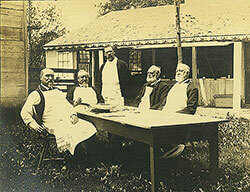 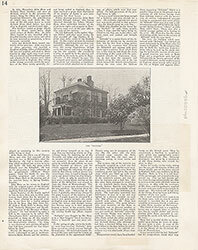 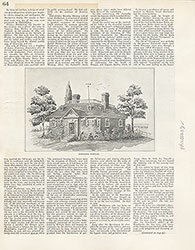 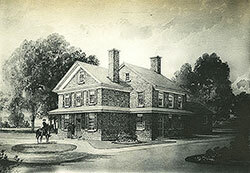 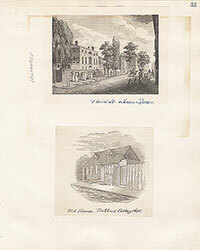 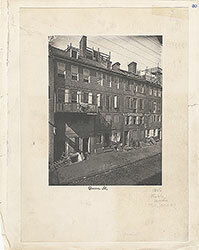 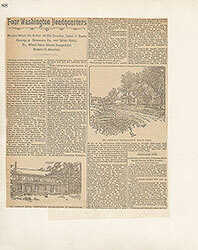 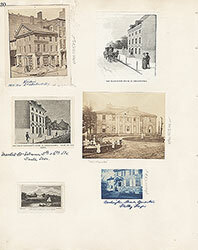 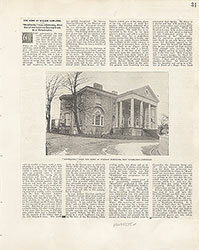 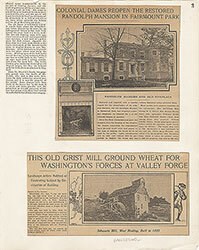 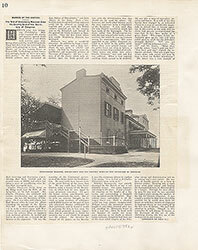 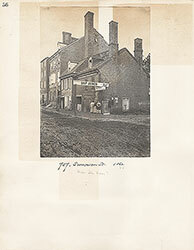 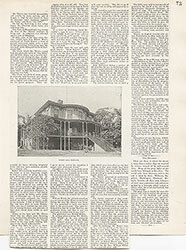 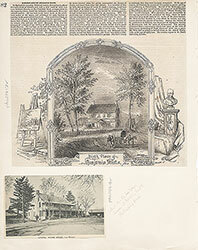 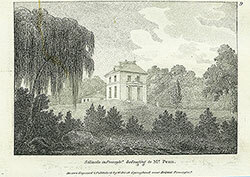 Title: James Fenimore Cooper House, Burlington N.J. 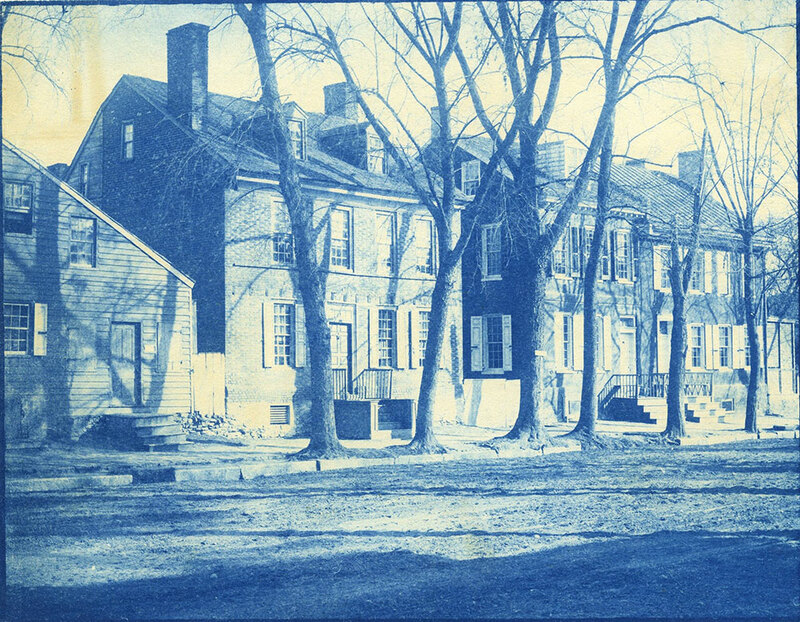 The semi-detached house on the far-right in this photograph is the birthplace of James Fenimore Cooper, America's first novelist. 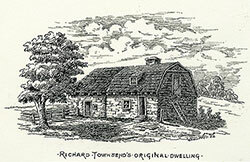 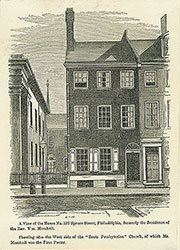 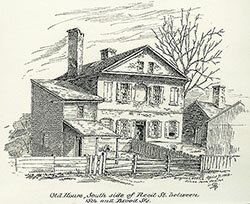 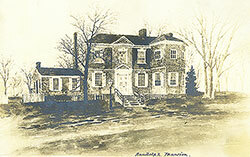 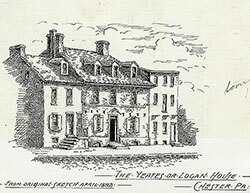 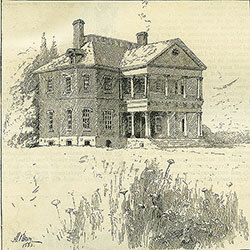 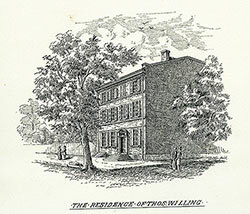 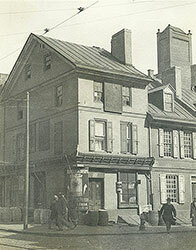 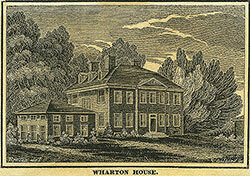 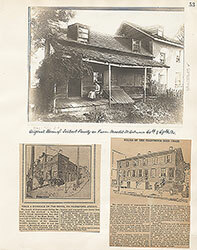 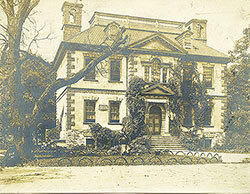 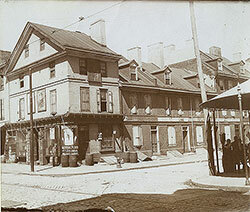 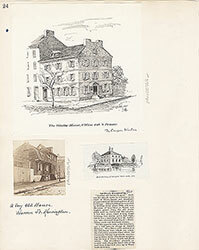 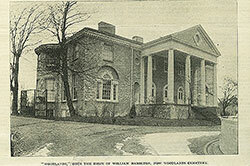 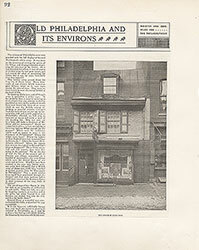 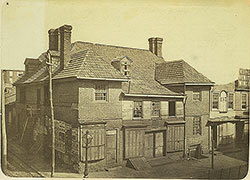 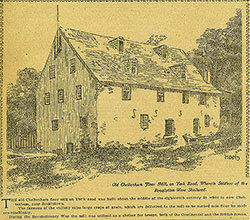 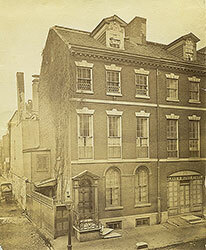 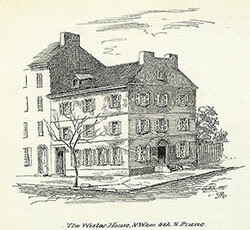 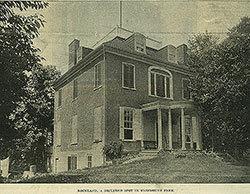 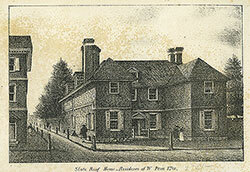 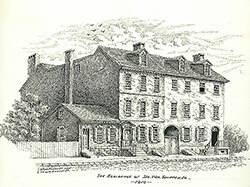 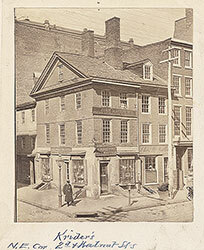 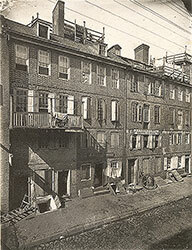 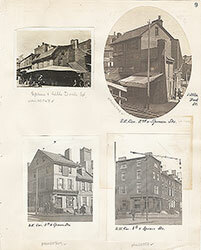 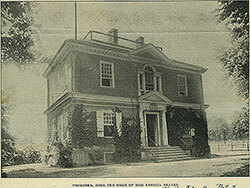 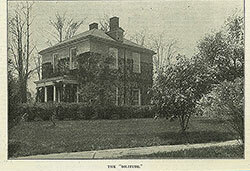 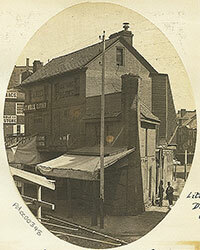 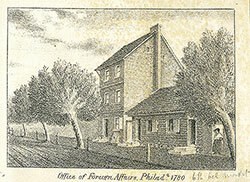 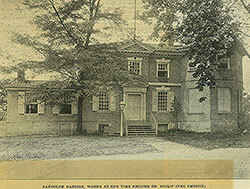 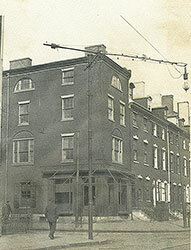 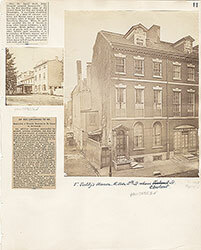 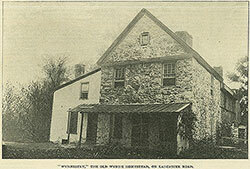 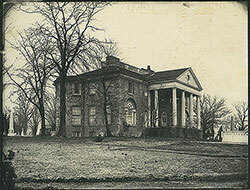 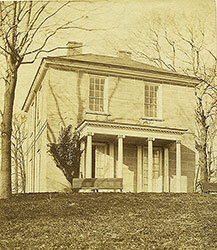 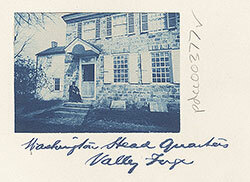 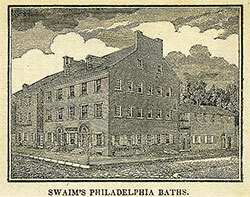 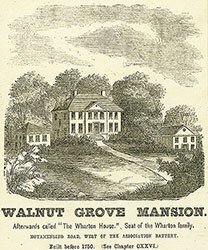 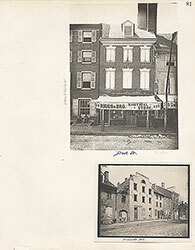 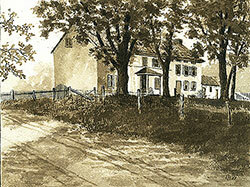 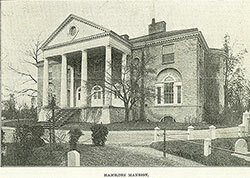 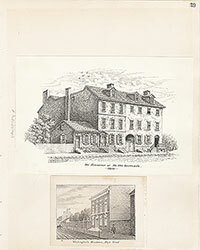 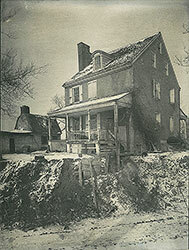 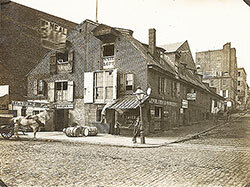 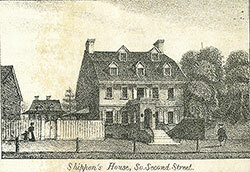 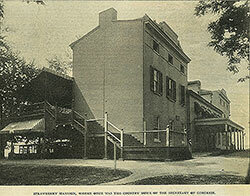 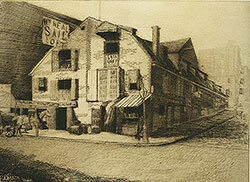 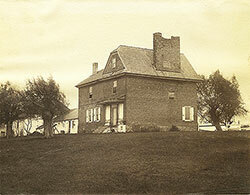 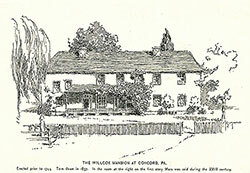 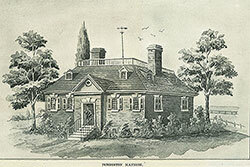 The author of The Last of the Mohicans was born here at 457 High Street, Burlington, N.J., in 1789. 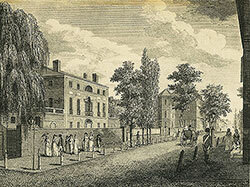 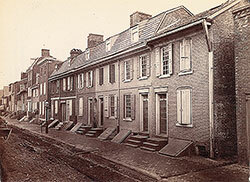 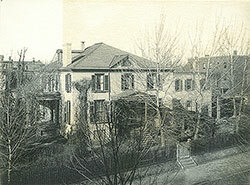 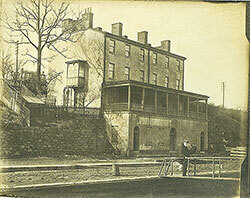 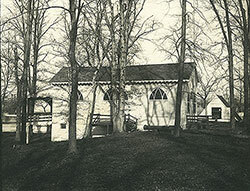 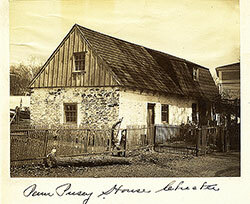 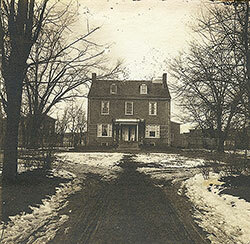 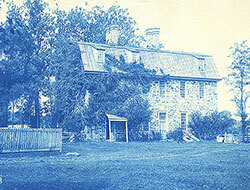 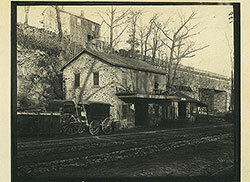 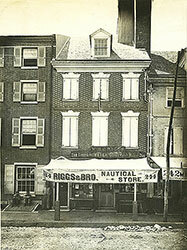 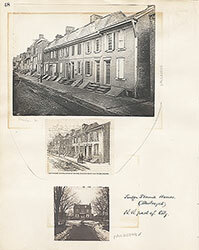 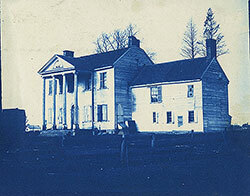 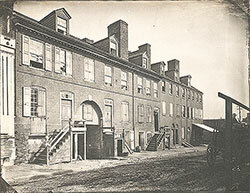 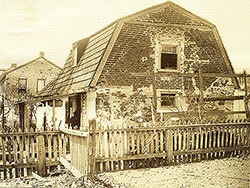 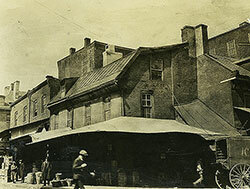 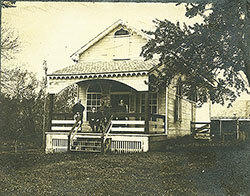 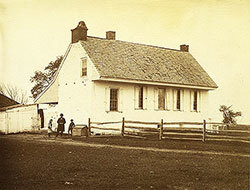 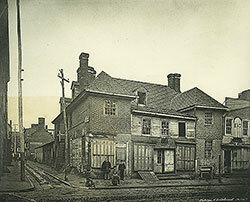 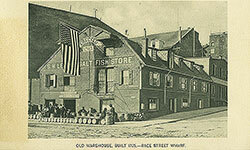 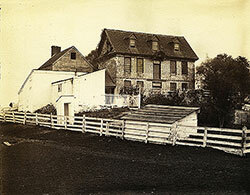 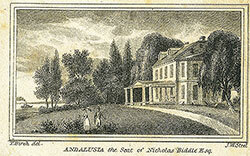 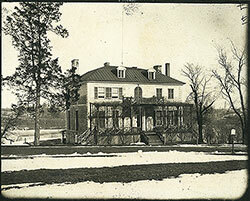 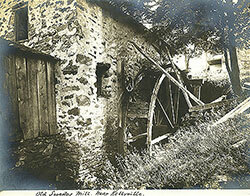 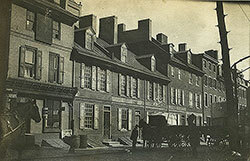 The adjoining house on the right side is the birthplace of Captain James Lawrence, naval war hero of the War of 1812.